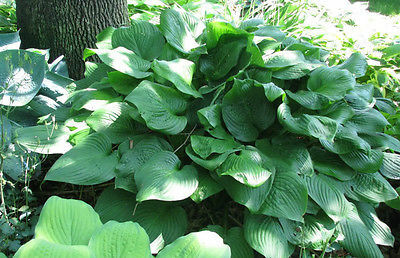 This medium-size selection has rich green leaves, with a vigorous habit. Fragrant pale lavender flowers appear in late summer. Suitable also for planting in mixed containers or tubs. Easily divided in either spring or fall, but plants may be left alone for years.